Before Morrowind or the Terminator games that really made the studio famous, Bethesda released a humble sports game for the Amiga and Atari ST called Gridiron! Even by 1986's standards, Gridiron! was an ugly game. All 22 players on the field were represented by simple dots, and presentation was at an absolute minimum. There was a very good reason for this, though: the game wasn’t trying to look like a game of football. It was trying to play like one. The dots had, for the first time in sports gaming, true physics, so that heavier, stronger players could break the tackles of smaller ones, and a running back breaking a tackle would “bounce” off his defender just like he would in real life. 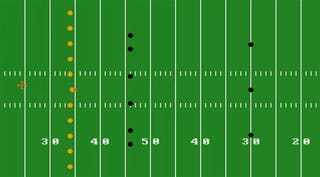 This kind of simulation was unheard of at the time, and Gridiron! easily overcame its hideous visuals to become a success, winning a 1987 Family Computing Award. That success caught the eye of Electronic Arts, who at the time was looking to enter the football game market. So Bethesda was hired to develop a follow-up to Gridiron! for EA, which the publisher was going to call John Madden Football. Not a bad deal for a studio with one game under its belt. Things started getting weird, though, when the game Bethesda developed never actually landed on retail shelves. Suspecting that EA had signed the developer just to get its hands on the physics code underpinning the game, Bethesda eventually sued EA in 1988, demanding $7.3 million in compensation. The details of the case have never been made public, sadly, but the suit officially ended Bethesda’s part in the Madden series. It’s unknown how much of Gridiron!’s code made it into EA’s first football game, but a 2002 statement from Weaver reveals a little of his company’s stance, as he says “the best selling football game of all time was based in part upon Bethesda’s design and physics-based approach to its Gridiron! game”. The first Madden was released in 1988, and wasn’t exactly the greatest. 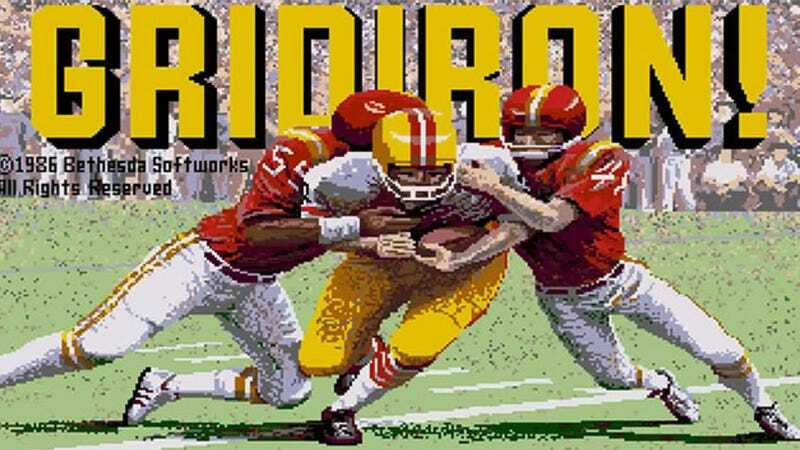 Not only did it lack the NFL license that it’s associated with today, but EA’s programmers had tried to combine Gridiron!’s physics with slicker presentation, something that with the limited system performance at the time was impossible. As a result, the game ran poorly, and the game was only a “modest success”. This post originally appeared on June 30, 2011.